No doubt about it you can increase your Facebook video views in an incredible way to organically boost engagement on Facebook. Considering 100 million hours of video are watched on Facebook per day, Facebook video is a top player in social media marketing. However, it isn’t just enough to create videos and upload them to your brand’s page, and you may find that video views are disappointing and off-target each month. If so, it’s time to carefully consider what users respond to best in order to maximum your efforts. Here are a few tips to help elevate the views and engagement on your videos! or something original that isn’t spotted often on your newsfeed. If you are showcasing a recipe, don’t begin by featuring the list of ingredients or a carton of eggs. Instead show a cheesy, gooey piece of steaming lasagne being placed on a plate. You better believe people will stick around to see how it was made! Buzzfeed’s Tasty does this well. Show the delicious food you’re about to make and most often people will stay to learn. It is also vital to select a high-quality thumbnail image. When uploading a video, Facebook gives you an option to select one of their thumbnails or upload your own. Be sure to choose one that is most likely to pull in viewers. This is just as important – if not more important – than the title of the video. 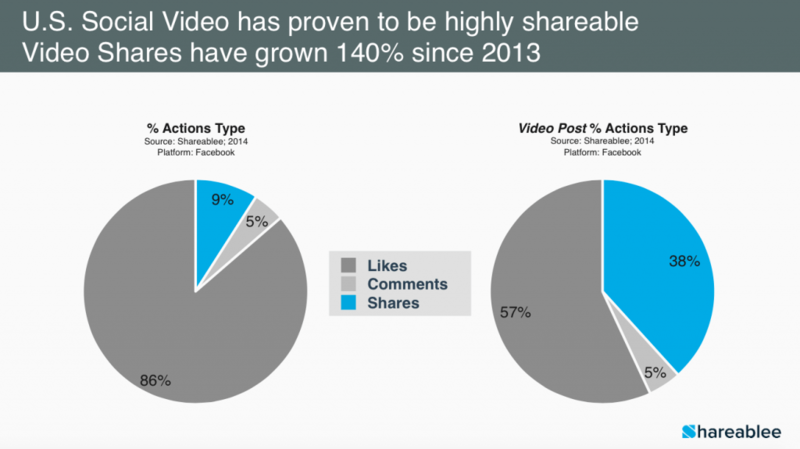 Did you know according to recent studies 85 percent of Facebook video is watched without sound? 8 billion video views are hosted on Facebook per day, but most of those views are occurring in silence. Because of this, subtitles make a massive difference in your video views. They make the videos easier to consume. For example, if you are browsing Facebook while in the waiting room at your doctor’s office, would you crank up the volume to watch a video? Most likely not. However, you may watch it in silence if captions are included. 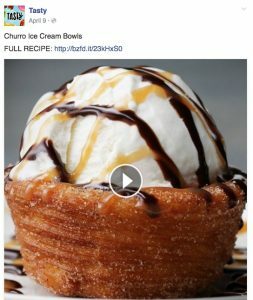 The format in which Facebook presents your videos favor captions, too. Autoplay is excellent and brings eyes to your video, but you can’t rely on fun music or an eyebrow-raising statement to draw users in. You must rely on compelling video and engaging captions. 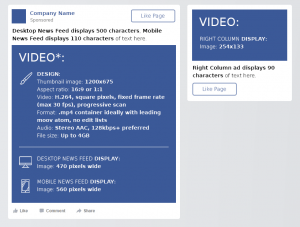 Additionally, if you are a global business and executing a Facebook marketing strategy, captions will be greatly appreciated by anyone watching your video whose first language is not English! Remember, it is all about creating content that will be consumed by your audience easily. If your video really does need sound, don’t be afraid to encourage viewers to “tap for sound” in the video caption. Videos don’t just generate views. They can also drive traffic to your website, convert viewers into customers, encourage sign-ups and generate blog post views. In the post copy: It’s as easy as ending your caption with “Read the full story here: LINK”. This will help drive traffic to your blog, website, or any other landing page of your choice. During the video: Use text overlay (Learn the recipe for this delicious pie at LINK) or even mention the CTA if your video includes talking. In fact, Wistia learned that mid-roll CTAs have the highest conversion rates – wow! At the end of the video: End your video with text that indicates the CTA and let it run for a few seconds. Whichever method you choose, be sure to utilize it frequently! It is always worth adding in a CTA and using your Facebook video for the maximum ROI it can provide. 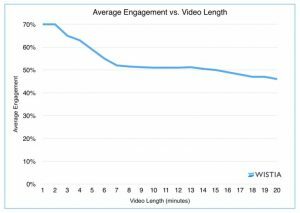 Videos up to 2 minutes get a lot of engagement: After that, it’s a big drop off. It doesn’t matter much if a video is 30 seconds long or 90. As long as it’s under 2 minutes, you’re golden! 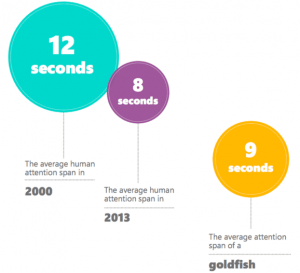 There is a big drop-off between 2 and 3 minutes: After 2 minutes, every second truly counts. Cut out what isn’t essential for the viewers to see. 6 to 12 minutes is the second best length: We get it. Some videos do really require more time. After 6 minutes engagement tends to level off, meaning if your video will end up being a little lengthy, keep it between 6 and 12 minutes for maximum engagement. If you feel as though you are not utilizing all the footage you have, consider creating multiple short videos instead of one long one. Be sure to encourage people to watch the previous videos (and include links!) to maximize views.